I've always been a little leery of proclaiming anything "the best." I never declared anyone my best friend as a kid because I was afraid my other friends might assume I thought less of them. So it was a little difficult for me to come up with just one "best" advertisement of all time -- which is why there are 18 in this post instead. As you can imagine, there are numerous types of advertisements -- all of which run in different mediums, on different channels, and have different goals in mind for their business. People can advertise anywhere, and today's best type of ad might not be the best type tomorrow. Here are four basic examples of advertising from the past few centuries (yikes), from earliest to latest. Television ads originated in the 1940s with the promotion of practical items and political campaigns. Advertisers can now use television to promote food, toys, stores, business services, and more -- both to local TV channels and to national broadcast networks. In this ad method, the advertiser pays the regional or national TV network to show their ad during designated breaks in the network's regular programming. Internet advertising took root in the mid 1990s with the launch of "banner" advertisements for various telecommunications companies. These ads are placed in interstitial spots on a webpage. In this ad method, the advertiser pays the website owner to place their ad in exposed spaces that are peripheral to the website's own content. Internet advertising has gone on to include video, search engine marketing, sponsored social media posts, and more. Did you know that, once upon a time, Nike's product catered almost exclusively to marathon runners? Then, a fitness craze emerged -- and the folks in Nike's marketing department knew they needed to take advantage of it to surpass their main competitor, Reebok. (At the time, Reebok was selling more shoes than Nike). And so, in the late 1980s, Nike created the "Just Do It." campaign. In 1988, Nike sales were at $800 million; by 1998, sales exceeded $9.2 billion. "Just Do It." was short and sweet, yet encapsulated everything people felt when they were exercising -- and people still feel that feeling today. Don't want to run five miles? Just Do It. Don't want walk up four flights of stairs? Just Do It. It's a slogan we can all relate to: the drive to push ourselves beyond our limits. Big brands are often hard-pressed to do something ground-breaking when they're already so big. So, what did Coca-Cola do to appeal to the masses? They appealed to individuals -- by putting their names on each bottle. It was a breaking story across the marketing and advertising industry. Many consumers were enchanted by it, while others were confused by it -- why make a temporary item so personal? Pepsi even released counter-ads shortly after the campaign launched. Coke fans are regular buyers, and the company leaned into that sense of individual ownership with full force. Wondering what name you'll get out of the vending machine was a fun thrill in and of itself -- even if it isn't yours, it encourages you to "share a Coke" with whomever's name is on the front. 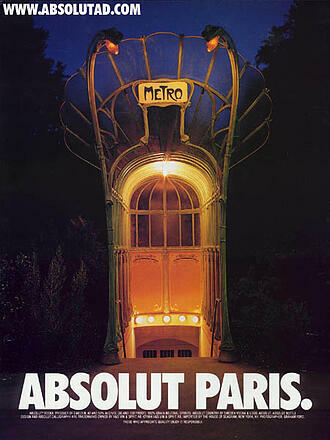 Despite having no distinct shape, Absolut made its bottle the most recognizable bottle in the world. Its campaign, which featured print ads showing bottles "in the wild," was so successful that they didn't stop running it for 25 years. It's the longest uninterrupted ad campaign ever and comprises over 1,500 separate ads. I guess if it ain't broke, don't fix it. When's the last time an advertisement literally changed the way we talk to one another? Allow me to answer that question with another question: "Whassup?!" This series of commercials, which first appeared in late 1999, features a group of friends connecting on a group phone call (we don't do those much anymore, do we?) while drinking beer and "watching the game" on TV. It starts gently: "What are you doin'?" Someone asks. "Watching the game, havin' a Bud" (a Budweiser), someone replies. As more friends pick up the phone, the hilarity ensues: "WHASSUP!?" is yelled back and forth, becoming a classic catchphrase and an icon of beer-drinking culture that ran constantly on sports networks over the next few years. Think it's easy to create a whole new market for your product? The Miller Brewing Company (now MillerCoors) did just that with the light beer market -- and dominated it. The goal of the "Great Taste, Less Filling" campaign was getting "real men" to drink light beer, but they were battling the common misconception that light beer can never actually taste good. The campaign began as a commercial explaining the stigma behind playing sports "like a girl" -- implying that the boy's way is better or correct. By the end of the ad, the message is both clear and inspiring: Girls are just as fit and capable as boys are, particularly during puberty -- a stage of life that is extremely important to Always and its women's products. Acknowledge not just your audience, but the challenges they face -- especially the ones that reflect your time or culture. Not every societal issue is off limits to marketers and advertisers. Take a stand on the ones you know your audience supports, and you'll access a customer base that identifies with your passion. Many marketing and advertising professionals like to call Volkswagen's "Think Small" campaign the gold standard. Created in 1960 by a legendary advertising group at Doyle Dane & Bernbach (DDB), the campaign set out to answer one question: How do you change peoples' perceptions not only about a product, but also about an entire group of people? See, Americans always had a propensity to buy big American cars -- and even 15 years after WWII ended, most Americans were still not buying small German cars. So what did this Volkswagen advertisement do? It played right into the audience's expectations. You think I'm small? Yeah, I am. They never tried to be something they were not. Year in Search began in 2009 as "Zeitgeist," a written report of the public's most common Google searches over the previous 12 months. The following year, Google adapted it for a three-minute video. Since then, it's been a bold, yearly reminder of how much we depend on Google for information on the news and events that give the entire world pause. Check out the company's latest video from 2017 above. Remind your customers how much you care that they care. These stories elicit a variety of emotions, but ultimately unite everyone -- no matter what Google products they might like -- through an uplifting message of how our usage of the company reflects the best in all of us. You know who he is. He smokes Cuban cigars, is always surrounded by beautiful women, and -- most importantly -- he drinks Dos Equis beer. 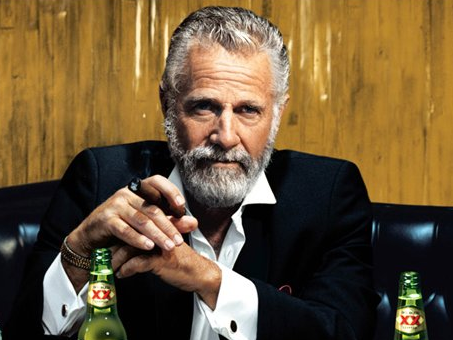 And at the end of every commercial, he says: "I don't always drink beer, but when I do, I prefer Dos Equis. Stay thirsty my friends." The hilarious hyperbole employed in this campaign makes it memorable the next time viewers head out to buy some beer. And even though Dos Equis recently replaced The Most Interesting Man with a new actor, he is forever immortalized in meme culture and in liquor stores due to this short, sweet, and memorable tagline -- and the cool dude vibe it makes viewers harken back to. Thanks to the California Milk Processor Board's "Got Milk?" campaign, milk sales in California rose 7% in just one year. But the impact ran across state borders, and to this day, you still can't escape the millions of “Got [Fill-in-the-Blank]?” parodies. It's not always about getting a brand new audience to use your products or services -- sometimes, it's about getting your current audience to appreciate and use your product more often. Turn your audience into advocates, and use marketing and ad content to tell them why they should continue to enjoy the product or service you are already providing for them. The song is about dumb ways to die -- for example, by poking a grizzly bear with a stick, or taking your helmet off in outer space -- and it features a catchy little chorus you won't be able to stop humming to yourself (because singing it is a little morbid): "Dumb ways to die, so many dumb ways to die." This beloved, now-famous campaign communicates a simple idea in a creative and memorable way -- and you don't feel like you're being nagged, the way some public service announcements do. If your subject matter is grim or boring, consider using creativity to get your message across. While there have been many great Apple campaigns, this one takes the cake. The video above is just one of a series of iterations of this campaign, and the Mac vs. PC debate ended up being one of the most successful campaigns ever for Apple. The company experienced 42% market share growth in its first year with its help. These commercials tell Mac's audience everything they need to know about the product without being overt -- and in a clever way. The first time Clairol asked this question in 1957, the answer was 1 to 15 -- as in, only 1 in 15 people were using artificial hair color. Just 11 years later, the answer was 1 of 2, according to TIME Magazine. The campaign was apparently so successful that some states stopped requiring women to denote hair color on their driver's license. When your ad campaign starts changing things at the DMV, you know you've hit a nerve. In 1999, AdAge declared De Beers' "A Diamond is Forever" the most memorable slogan of the twentieth century. 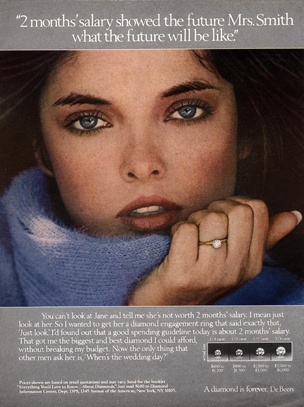 But the campaign, which proposed (pun very much intended) the idea that no marriage would be complete without a diamond ring, wasn't just riding on the coattails of an existing industry. De Beers actually built the industry; it presented the idea that a diamond ring was a necessary luxury. According to the New York Times, N.W. Ayer's game plan was to "create a situation where almost every person pledging marriage feels compelled to acquire a diamond engagement ring." That video has over 51 million views as of this writing. Several months later, in June 2010, Old Spice followed up with a second commercial featuring the same actor, Isaiah Mustafa. Mustafa quickly became "Old Spice Guy," a nickname Wieden + Kennedy capitalized on with an interactive video campaign in which Mustafa responded to fans' comments on Facebook, Twitter, and other social media websites with short, personalized videos. "We were creating and sending miniature TV commercials back to individual consumers that were personalized, and we were doing it on a rapid-fire basis," Jason Bagley, creative director at Wieden + Kennedy and a writer for the campaign, told Inc. "No one expects to ask a question and then be responded to. I think that's where we broke through." Wendy's took a more gutsy approach in this advertising campaign: It targeted its competitors. 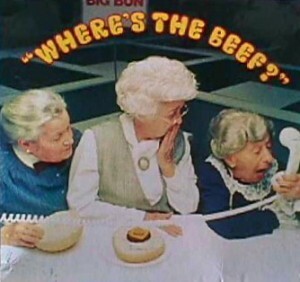 The simple phrase "Where's the beef?" was used to point out the lack of beef in competitors' burgers -- and it quickly became a catchphrase that encapsulated all that was missing in their audience's lives. Seriously -- you wouldn't expect a household and cleaning products company commercial to pull at the heartstrings like that, would you? Lately, though, Procter & Gamble (P&G) has launched some of the best ads we've ever seen from the consumer goods industry. That's because P&G identified the story behind the story of Olympic athletes -- the stories of the supportive moms who pushed these world-class athletes throughout their entire lives leading up to that crowning moment. And yes, they probably had to do a lot of laundry and cleanup along the way -- presumably using P&G products. Emotional and nostalgia marketing are powerful tactics to get people to make buying choices, so if there's a bigger, more universal story behind your product or story, tap into it -- and showcase it front-and-center. No business is above a good old-fashioned sorry. And if you can laugh at yourself in the process, you'll only make it better. KFC's ad demonstrates how to combine humility, class, humor, and ultimately company pride in a message that can help you bounce back from bad press -- and even come out the other side with a net-positive result for your brand. I’ve always been a little leery of proclaiming anything “the best.” I never declared anyone my best friend as a kid because I was afraid my other friends might assume I thought less of them. As you can imagine, there are numerous types of advertisements — all of which run in different mediums, on different channels, and have different goals in mind for their business. People can advertise anywhere, and today’s best type of ad might not be the best type tomorrow. Here are four basic examples of advertising from the past few centuries (yikes), from earliest to latest. The first print ad ran in England in 1472, according to Infolinks. Since then, this type of advertising has become available in newspapers, magazines, brochures, billboards, flyers, and similarly portable methods of carrying a brand’s message to its ideal end user. In this ad method, the advertiser pays the publisher to place their ad in the publication. Television ads originated in the 1940s with the promotion of practical items and political campaigns. Advertisers can now use television to promote food, toys, stores, business services, and more — both to local TV channels and to national broadcast networks. In this ad method, the advertiser pays the regional or national TV network to show their ad during designated breaks in the network’s regular programming. Internet advertising took root in the mid 1990s with the launch of “banner” advertisements for various telecommunications companies. These ads are placed in interstitial spots on a webpage. In this ad method, the advertiser pays the website owner to place their ad in exposed spaces that are peripheral to the website’s own content. Internet advertising has gone on to include video, search engine marketing, sponsored social media posts, and more. This blog post is dedicated to the ones we’ll never forget. Did you know that, once upon a time, Nike’s product catered almost exclusively to marathon runners? Then, a fitness craze emerged — and the folks in Nike’s marketing department knew they needed to take advantage of it to surpass their main competitor, Reebok. (At the time, Reebok was selling more shoes than Nike). And so, in the late 1980s, Nike created the “Just Do It.” campaign. In 1988, Nike sales were at $800 million; by 1998, sales exceeded $9.2 billion. “Just Do It.” was short and sweet, yet encapsulated everything people felt when they were exercising — and people still feel that feeling today. Don’t want to run five miles? Just Do It. Don’t want walk up four flights of stairs? Just Do It. It’s a slogan we can all relate to: the drive to push ourselves beyond our limits. When you’re trying to decide the best way to present your brand, ask yourself: What problem are you solving for your customers? What solution does your product or service provide? By hitting on that core issue in all of your messaging, you’ll connect with consumers on an emotional level that is hard to ignore. Big brands are often hard-pressed to do something ground-breaking when they’re already so big. So, what did Coca-Cola do to appeal to the masses? They appealed to individuals — by putting their names on each bottle. 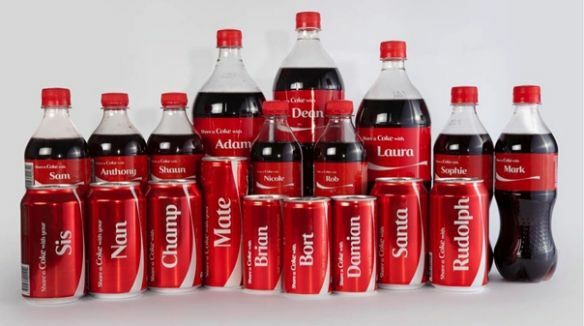 The Share a Coke campaign began in Australia in 2011, when Coca-Cola personalized each bottle with the 150 most popular names in the country. Since then, the U.S. has followed suit, printing first names across the front of its bottles and cans in Coke’s branded font. You can even order custom bottles on Coke’s website to request things like nicknames and college logos. Coke fans are regular buyers, and the company leaned into that sense of individual ownership with full force. Wondering what name you’ll get out of the vending machine was a fun thrill in and of itself — even if it isn’t yours, it encourages you to “share a Coke” with whomever’s name is on the front. Despite having no distinct shape, Absolut made its bottle the most recognizable bottle in the world. Its campaign, which featured print ads showing bottles “in the wild,” was so successful that they didn’t stop running it for 25 years. 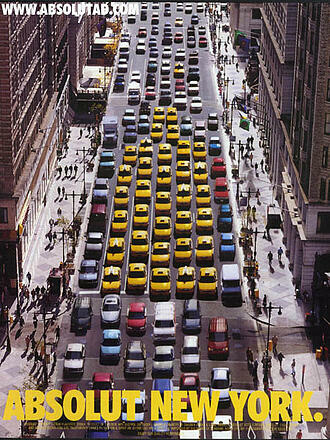 It’s the longest uninterrupted ad campaign ever and comprises over 1,500 separate ads. I guess if it ain’t broke, don’t fix it. No matter how boring your product looks, it doesn’t mean you can’t tell your story in an interesting way. Let me repeat: Absolut created 1500 ads of one bottle. Be determined and differentiate your product in the same way. This series of commercials, which first appeared in late 1999, features a group of friends connecting on a group phone call (we don’t do those much anymore, do we?) while drinking beer and “watching the game” on TV. It starts gently: “What are you doin’?” Someone asks. “Watching the game, havin’ a Bud” (a Budweiser), someone replies. As more friends pick up the phone, the hilarity ensues: “WHASSUP! ?” is yelled back and forth, becoming a classic catchphrase and an icon of beer-drinking culture that ran constantly on sports networks over the next few years. The ad took pop culture by storm during the Super Bowl in 2000, and you can still hear its echoes today. Why? Anheuser-Busch showed us just how silly and informal an ad can be without ruffling feathers or going off-brand. Dare to celebrate your audience’s absurdities. The more genuine your ad is, the more valuable your product is. Think it’s easy to create a whole new market for your product? The Miller Brewing Company (now MillerCoors) did just that with the light beer market — and dominated it. The goal of the “Great Taste, Less Filling” campaign was getting “real men” to drink light beer, but they were battling the common misconception that light beer can never actually taste good. 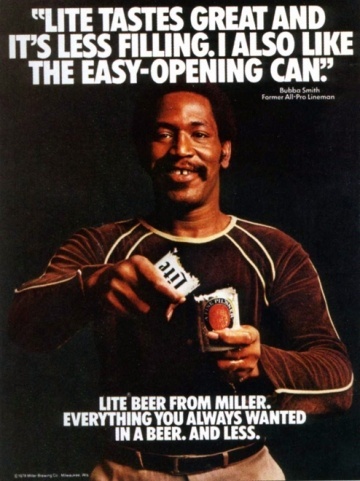 For decades after this campaign aired, Miller Lite dominated the light beer market it had essentially created. What’s the lesson marketers can learn? Strive to be different. If people tell you there isn’t room for a product, create your own category so you can quickly become the leader. The campaign began as a commercial explaining the stigma behind playing sports “like a girl” — implying that the boy’s way is better or correct. By the end of the ad, the message is both clear and inspiring: Girls are just as fit and capable as boys are, particularly during puberty — a stage of life that is extremely important to Always and its women’s products. The message is now a holistic initiative by Always you can learn about here, and a hashtag that’s still used on social media today. Acknowledge not just your audience, but the challenges they face — especially the ones that reflect your time or culture. Not every societal issue is off limits to marketers and advertisers. Take a stand on the ones you know your audience supports, and you’ll access a customer base that identifies with your passion. 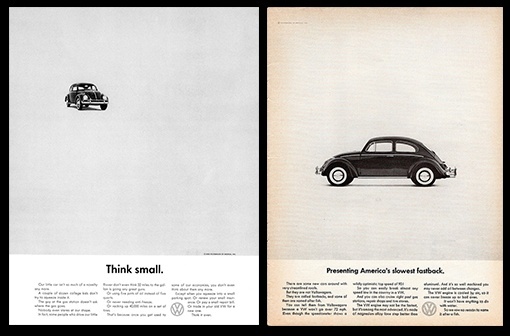 Many marketing and advertising professionals like to call Volkswagen’s “Think Small” campaign the gold standard. Created in 1960 by a legendary advertising group at Doyle Dane & Bernbach (DDB), the campaign set out to answer one question: How do you change peoples’ perceptions not only about a product, but also about an entire group of people? See, Americans always had a propensity to buy big American cars — and even 15 years after WWII ended, most Americans were still not buying small German cars. So what did this Volkswagen advertisement do? It played right into the audience’s expectations. You think I’m small? Yeah, I am. They never tried to be something they were not. That’s the most important takeaway from this campaign: Don’t try to sell your company, product, or service as something it’s not. Consumers recognize and appreciate honesty. This isn’t the oldest or most well-known advertisement on our list, but it’s become the most powerful over its nine-year (and still going) existence. So powerful and so true, you forget it’s an advertisement. Year in Search began in 2009 as “Zeitgeist,” a written report of the public’s most common Google searches over the previous 12 months. The following year, Google adapted it for a three-minute video. Since then, it’s been a bold, yearly reminder of how much we depend on Google for information on the news and events that give the entire world pause. Check out the company’s latest video from 2017 above. A key component of a strong campaign for an indulgent vice — like beer, desserts, or luxury items — is to make it cool. And when it comes to The Most Interesting Man in the World, he’s one of the coolest commercial guys there is. 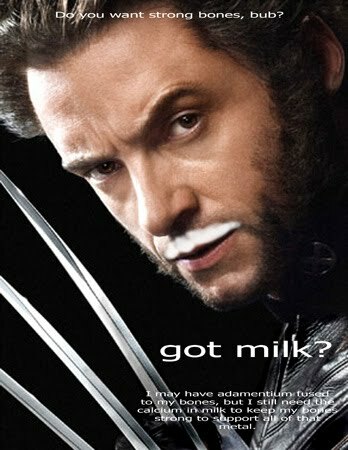 Thanks to the California Milk Processor Board’s “Got Milk?” campaign, milk sales in California rose 7% in just one year. But the impact ran across state borders, and to this day, you still can’t escape the millions of “Got [Fill-in-the-Blank]?” parodies. Note, though, that the ad didn’t target people who weren’t drinking milk; it instead focused on the consumers who already were. It’s not always about getting a brand new audience to use your products or services — sometimes, it’s about getting your current audience to appreciate and use your product more often. Turn your audience into advocates, and use marketing and ad content to tell them why they should continue to enjoy the product or service you are already providing for them. At the end of the video, after you’ve watched adorable cartoon characters dying in the dumbest of ways, you get to the moral of the story: There are many dumb ways to die, but the dumbest possible way would be if you died while standing on the edge of a train platform, drove through a railroad sign, or tried to cross over a train track. This beloved, now-famous campaign communicates a simple idea in a creative and memorable way — and you don’t feel like you’re being nagged, the way some public service announcements do. If your subject matter is grim or boring, consider using creativity to get your message across. While there have been many great Apple campaigns, this one takes the cake. The video above is just one of a series of iterations of this campaign, and the Mac vs. PC debate ended up being one of the most successful campaigns ever for Apple. The company experienced 42% market share growth in its first year with its help. These commercials tell Mac’s audience everything they need to know about the product without being overt — and in a clever way. Just because your product does some pretty amazing things doesn’t mean you need to hit your audience over the head with it. Instead, explain your product’s benefits in a relatable way so consumers are able to see themselves using it. The first time Clairol asked this question in 1957, the answer was 1 to 15 — as in, only 1 in 15 people were using artificial hair color. Just 11 years later, the answer was 1 of 2, according to TIME Magazine. The campaign was apparently so successful that some states stopped requiring women to denote hair color on their driver’s license. When your ad campaign starts changing things at the DMV, you know you’ve hit a nerve. 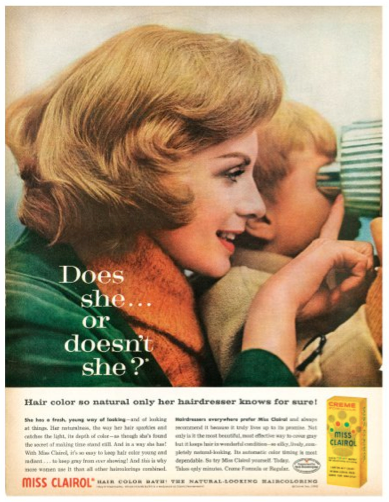 Clairol did the opposite of what most marketers would do: They didn’t want every woman on the street running around saying they were using their product. They wanted women to understand that their product was so good that people wouldn’t be able to tell if they were using it or not. In 1999, AdAge declared De Beers’ “A Diamond is Forever” the most memorable slogan of the twentieth century. But the campaign, which proposed (pun very much intended) the idea that no marriage would be complete without a diamond ring, wasn’t just riding on the coattails of an existing industry. De Beers actually built the industry; it presented the idea that a diamond ring was a necessary luxury. That video has over 51 million views as of this writing. 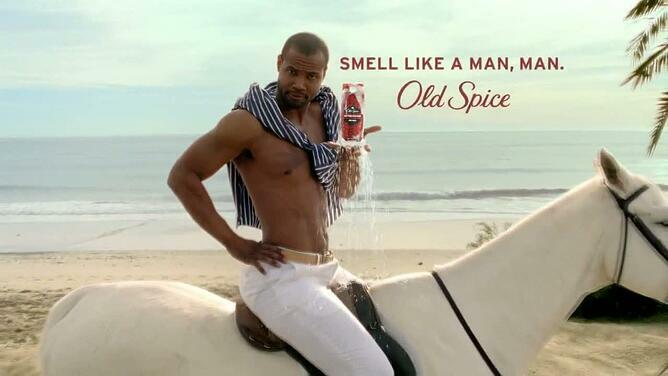 Several months later, in June 2010, Old Spice followed up with a second commercial featuring the same actor, Isaiah Mustafa. Mustafa quickly became “Old Spice Guy,” a nickname Wieden + Kennedy capitalized on with an interactive video campaign in which Mustafa responded to fans’ comments on Facebook, Twitter, and other social media websites with short, personalized videos. If you find your campaign’s gained momentum with your fans and followers, do everything you can to keep them engaged while keeping your messaging true to your brand’s voice and image. Is it enough to say this campaign was successful because it featured a giant hamburger bun and a cute set of old ladies? No? I didn’t think so. Wendy’s took a more gutsy approach in this advertising campaign: It targeted its competitors. The simple phrase “Where’s the beef?” was used to point out the lack of beef in competitors’ burgers — and it quickly became a catchphrase that encapsulated all that was missing in their audience’s lives. While you can’t predict when a catchphrase will catch on and when it won’t, Wendy’s (wisely) didn’t over-promote their hit phrase. The campaign only ran for a year, and allowed it to gently run its course. Be careful with your campaigns’ success and failures. Just because you find something that works doesn’t mean you should keep doing it over and over to the point it’s played out. Allow your company to change and grow, and you may find that you can have even greater success in the future by trying something new. I’ll give you a minute to dry your eyes after that one. Seriously — you wouldn’t expect a household and cleaning products company commercial to pull at the heartstrings like that, would you? Lately, though, Procter & Gamble (P&G) has launched some of the best ads we’ve ever seen from the consumer goods industry. That’s because P&G identified the story behind the story of Olympic athletes — the stories of the supportive moms who pushed these world-class athletes throughout their entire lives leading up to that crowning moment. And yes, they probably had to do a lot of laundry and cleanup along the way — presumably using P&G products. Emotional and nostalgia marketing are powerful tactics to get people to make buying choices, so if there’s a bigger, more universal story behind your product or story, tap into it — and showcase it front-and-center. 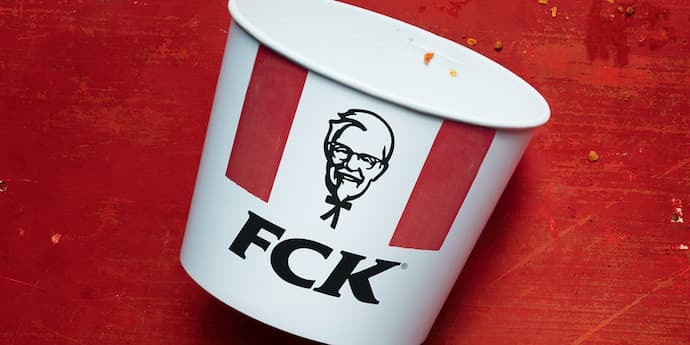 The ad above isn’t just an empty bucket of KFC with the company’s letters jumbled around. It’s also not a normal, unprompted promotion of fried chicken. In February 2018, KFC’s business in the U.K. ran out of chicken. You read that right: A poultry company ran out of poultry. It’s not every day that a business stumbles upon the most ironic PR crisis in company history, so when it happens, all eyes are on the business’s response. Well, we’re happy to report that KFC stuck the landing. No business is above a good old-fashioned sorry. And if you can laugh at yourself in the process, you’ll only make it better. KFC’s ad demonstrates how to combine humility, class, humor, and ultimately company pride in a message that can help you bounce back from bad press — and even come out the other side with a net-positive result for your brand.